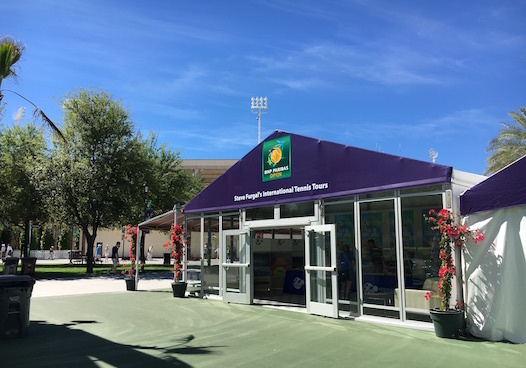 Frequently Asked Questions | Tennis Tour Packages - Steve Furgal's International Tennis Tours ~ Experience a Tennis Trip of a Lifetime! How long has Steve Furgal's International Tennis Tours, Inc. been operating? 40 years. Over the years we have developed into a renowned tennis tour operator and pride ourselves by providing first class tennis tours. Our repeat business is tremendous and some clients have been to every tournament with us! We are also a member in good standing with the American Society of Travel Agents, the oldest, largest, and most prestigious travel association in the world. If I would like to confirm space on a tour, how do I go about it? Upon making your decision about which tour you would like to participate on, just call (800) 25TENNIS. A non-refundable deposit is required to secure space on a tour. A tour director will take all of your reservation information and mail and e-mail you a Special Request Form and other necessary documents. Tours are limited in size and fill up extremely fast due to the restricted availability of tennis tournament tickets. If I have airline frequent flyer miles can I apply them towards the trip? If you have the necessary amount of frequent flyer miles required for a certain class of air service, you may utilize the points for your air portion of the trip and pay the "Land Only" price. How do I get to and from the tournament sites? Unless otherwise noted in the brochure, transfers are arranged from the hotel to the tournament venue. In most cases, transfers are not included on the return and it is to the passenger's own account to get back to the hotel after viewing tennis. We will provide detailed information and options with regards to the return. Can I stay longer on a trip than the published tour dates? You may extend the length of the trip in either direction. Group rates at the listed hotels may also be available in conjunction with the tour. Certain restrictions may apply to air travel included with tour packages. YES! Travel insurance is available at extra cost which would provide coverage in the event of trip cancellation or interruption, loss of baggage and medical attention. We strongly recommend that you protect your investment against unforeseen circumstances by purchasing travel insurance. Call the Tour Office and ask for a travel protection brochure and application. Payment is to be made in the form of VISA, MasterCard, American Express, bank wire transfer, or check in United States dollars payable to Steve Furgal's International Tennis Tours, Inc.
All requests for reservations are to be accompanied by a non-refundable deposit and and proof of USTA Membership (if applicable) valid through the trip dates. What is payment schedule for your tour packages? A non-refundable deposit is required at the time of booking. The entire balance is due no later than 10 weeks before departure. All cancellations will be subject to a cancellation fee of the initial deposit. Cancellations within 45 days of departure are completely non-refundable. Cancellation travel insurance is available. What is the cancellation policy for tickets only? Ticket orders are completely non-refundable. In most cases, tickets are transferrable. Please contact our office for more information. Main stadiums at the Australian Open, Wimbledon, and US Open all have retractable roofs that will guarantee match play! Unfortunately, tickets are non-refundable even if it is rained out. We strongly recommend purchasing a Center Court ticket at these tournaments.